Part of the fun of getting ready for Fall is creating new vignettes with vintage decor and collections from Summer’s travels. 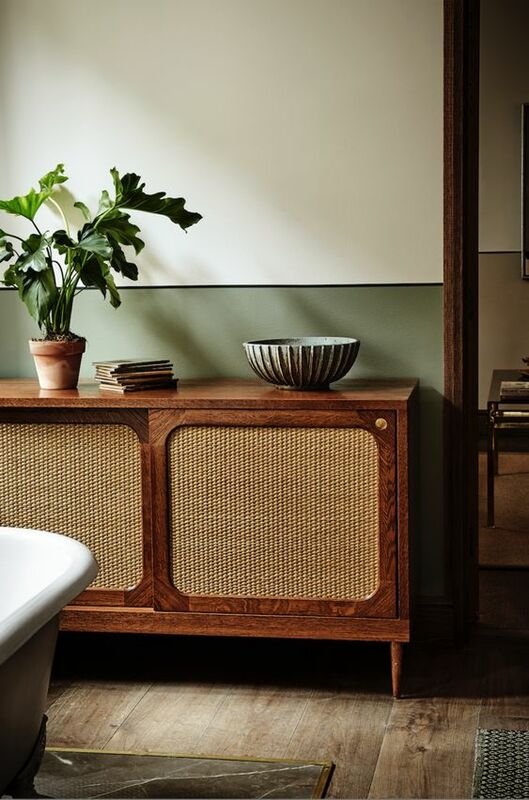 Console styling is a bit of an art form and takes a little bit of restraint and an eye for balance. Check out these mid-century modern beauties that boast an equal dose of both qualities. Sideboards and low dressers take up a lot of horizontal space. Keep that line going and extend your console styling beyond the piece of furniture itself. Work with the low space and architectural elements, like a pretty window sill. 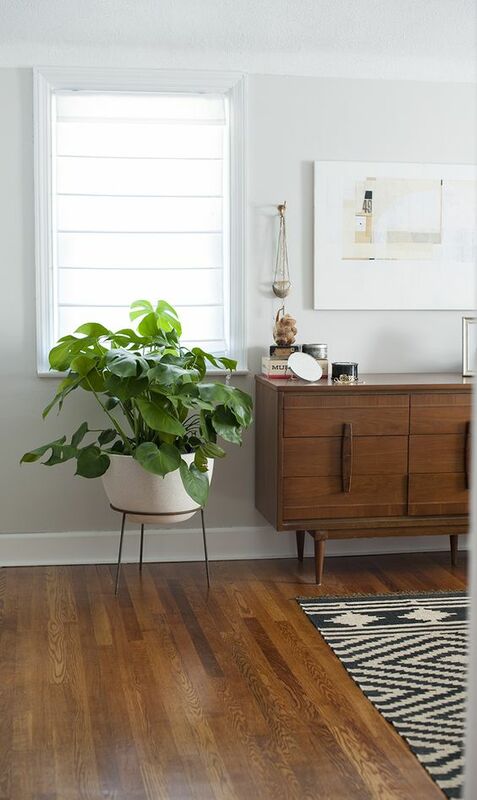 A modern plant stand with our favorite monstera deliciosa takes up ample space and compliments decor. Plant life is always welcome and works as a good space filler. To give a plant a home, this White Ceramic Sevilla Planter is not to be overlooked. Subtle design details like its matte off-white finish and softly rounded curves make this planter stand out. It’s fun to get ready for the holidays by adding spookiness to your decor in October. Display plants and flowers amid Haunted Mansion-esque busts on your credenza. When console styling, display objects in varying heights and feel free to stack objects. 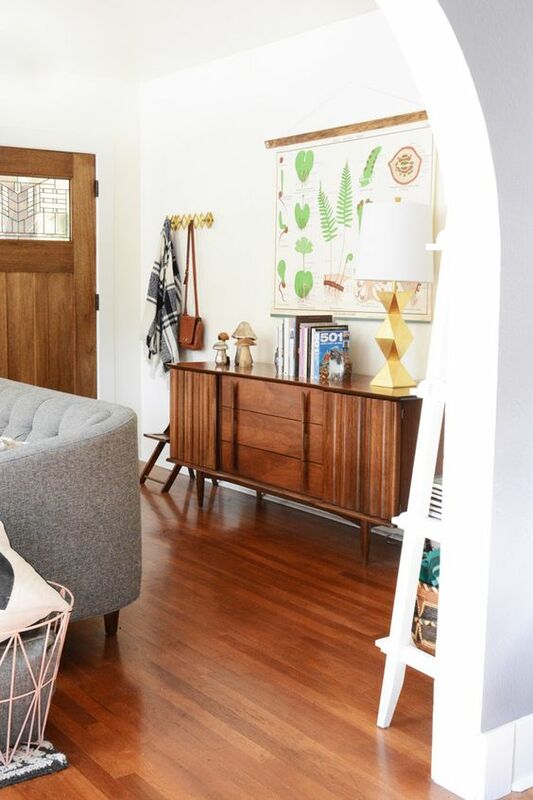 Add a vintage lamp to give soft lighting to your space in the evening. Play with symmetry and place objects in pairs (especially if your table is in the Feng Shui Relationships center). I can personally recommend this Jade Green Ombre Glass Table Lamp. Its brushed antique brass accents give it a luxe look sure to catch the eye of all who see it. 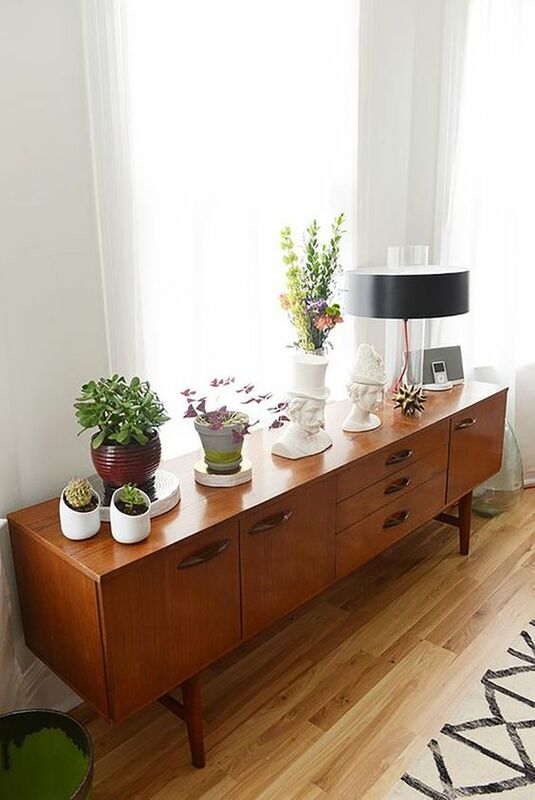 Mid-century modern sideboards tend to be very streamlined. Your Fall console styling should work the less-is-more vibe with vintage handcrafted goods on display. 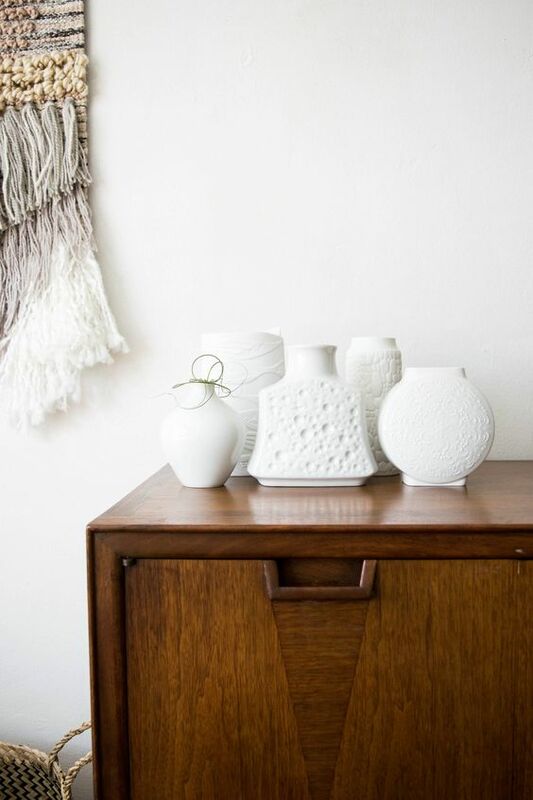 Head over to GlitterMoonVintage on Etsy for a sweet collection of white mid-century modern ceramics. Add some coziness with a macrame wall hanging which does a lot to warm up the decor. Whites and neutrals really make that wood grain pop! Take a cue from our article on minimalism and celebrate Halloween with style. 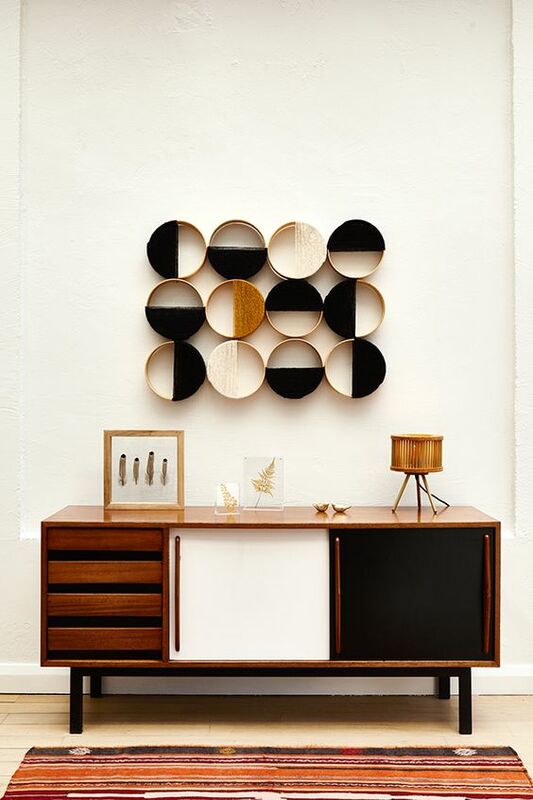 Use geometric wall hangings with a big dose of black and add Fall foliage to your console styling repertoire. Let the console table be your guide. 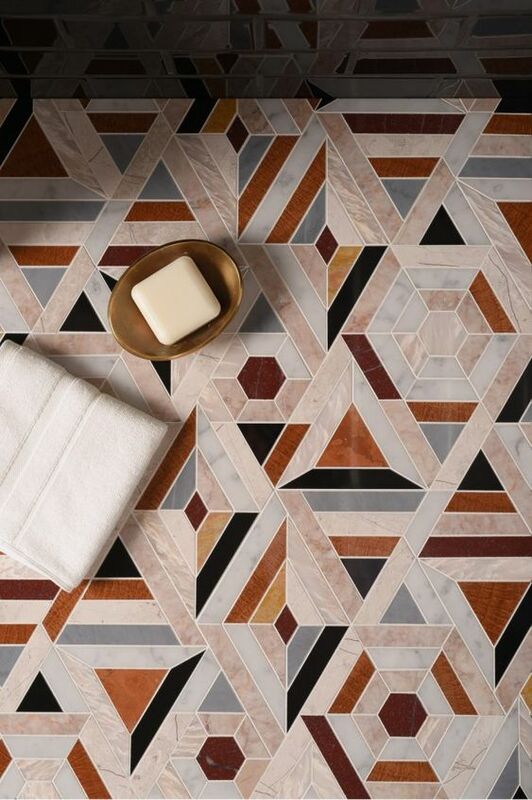 Follow the lines and shapes and work with them for a seamless conversation-worthy space. Also, consider the weight of your piece before deciding on accessories. 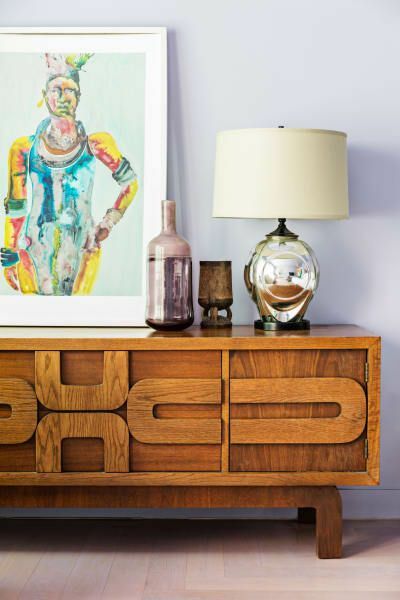 If your sideboard is heavier, with sturdy legs, work your console styling in a similar fashion. 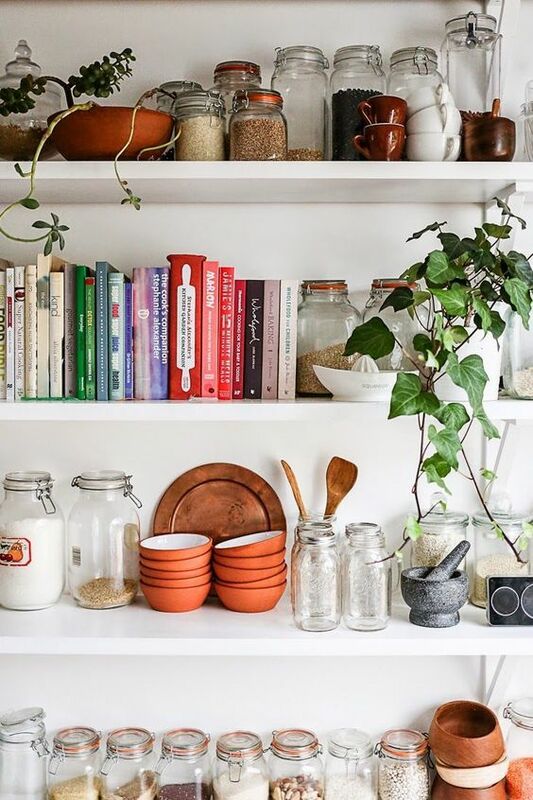 Pay attention to the cupboard and drawer details. Vintage consoles with plenty of curves would work well in a space that could benefit from the Feng Shui water element. 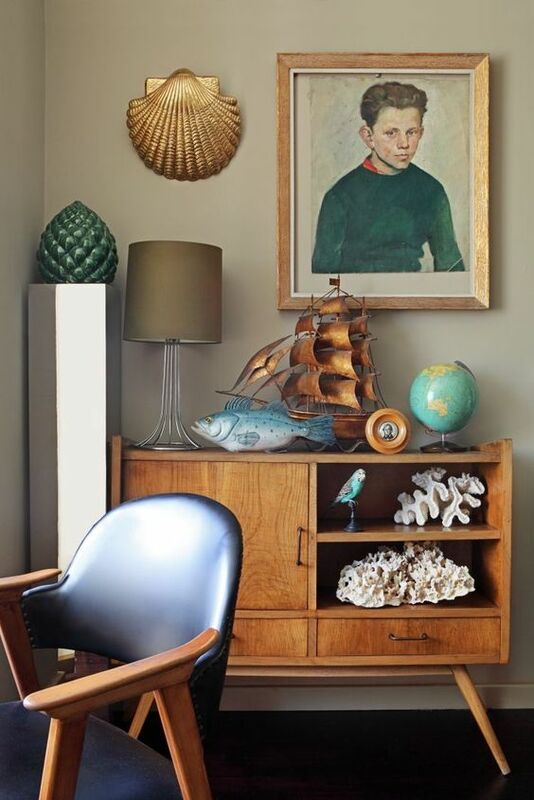 To really encapsulate this look, be sure to pick up this Large Acorn Storage Cabinet. It’s sure to bring any room together you put it in! Gold Wire Triangle Wire 4 Hook Wall Rack. Its handmade look makes the gold seem genuine, instead of snobby. Hang a piece of abstract art or a large, geometric mirror above your furniture piece to provide a focal point. Console styling should be a display of your personal creativity. Play around with objects until it looks right to your eye. You can change the theme each season, or simply when you need a change. 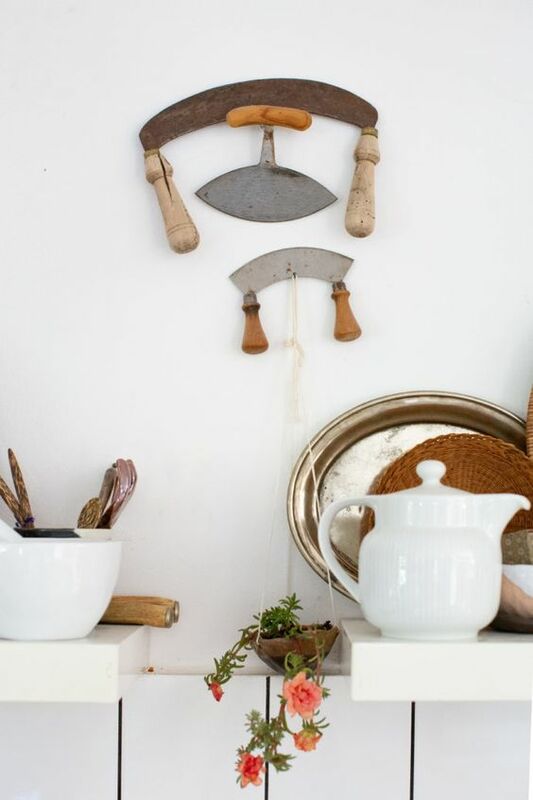 No need to buy anything; you probably have plenty or worthy objects hiding in a cupboard or closet. Dust them off and give them center stage this month!